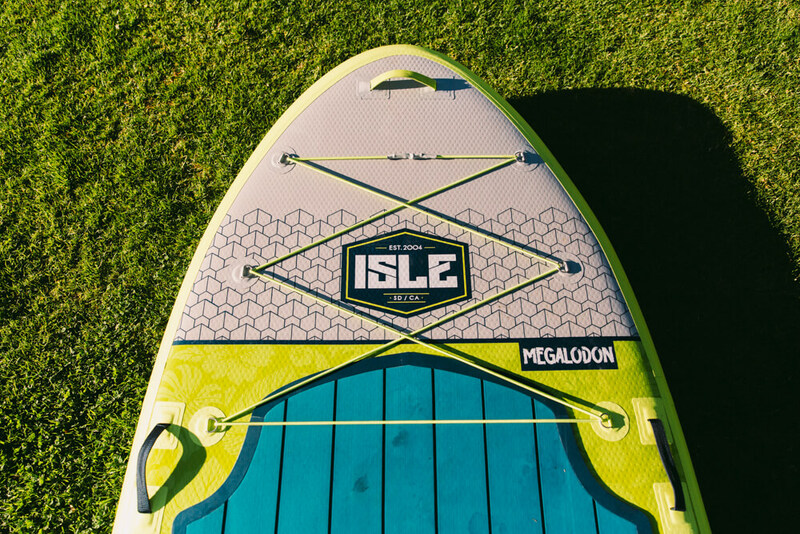 The Megalodon is purely for paddle boarding fun. 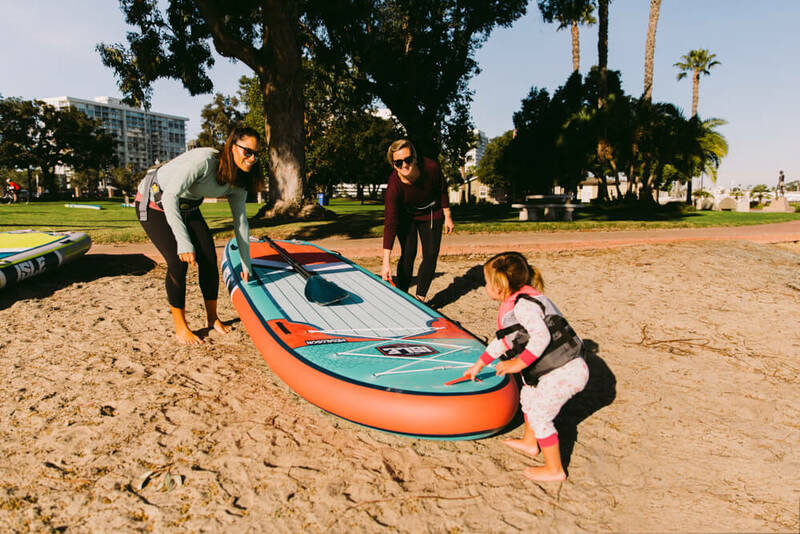 Bring your friends, family, fishing buddy, yoga partner, dog squad or possibly all of them on this supersized inflatable stand up paddle board. The Megalodon is a novelty in stand up paddle boarding. 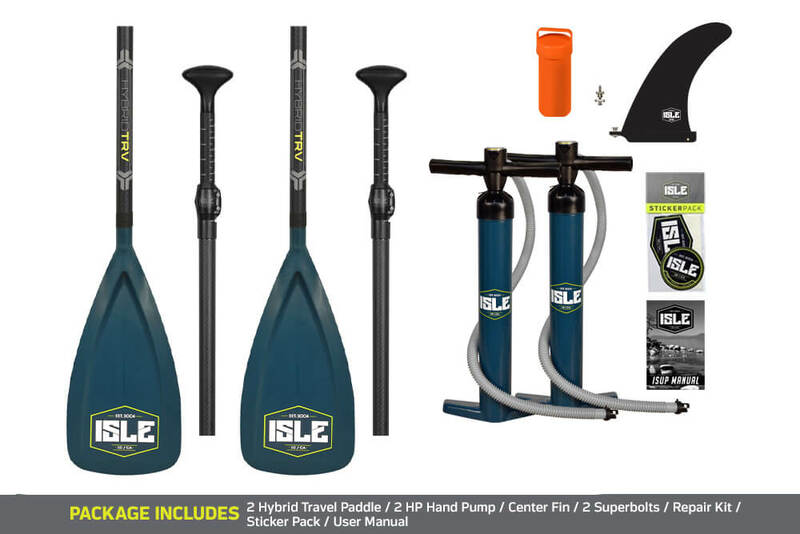 This multi-person inflatable paddle board is solely designed for a good time. 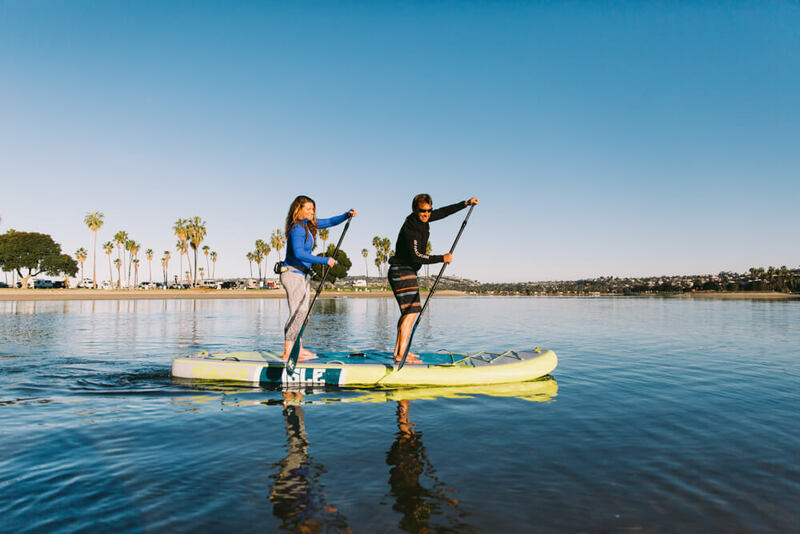 Do a group paddle, use it as a floating dock, go fishing, bring your dogs, or take it out in the surf with your crew. The possibilities are endless with the Megalodon. 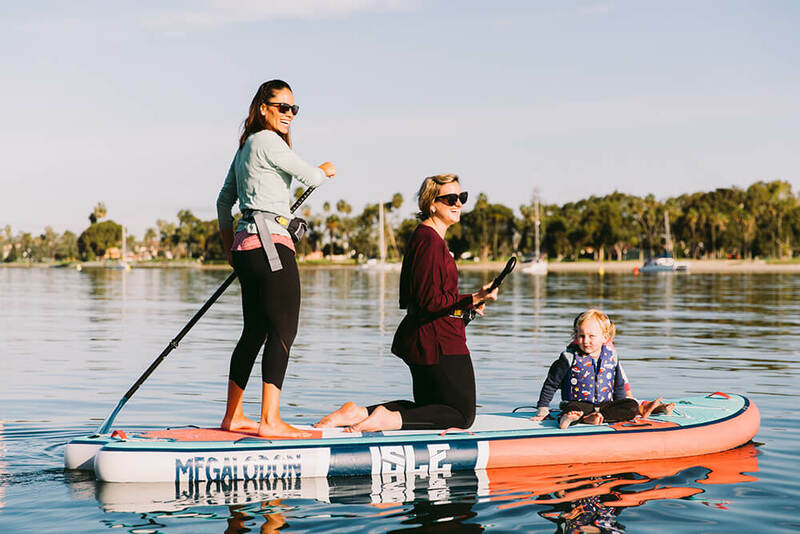 The Megalodon is the perfect stand up paddle board for families, friends, lovers, fishing, dogs, yoga, picnics and more. 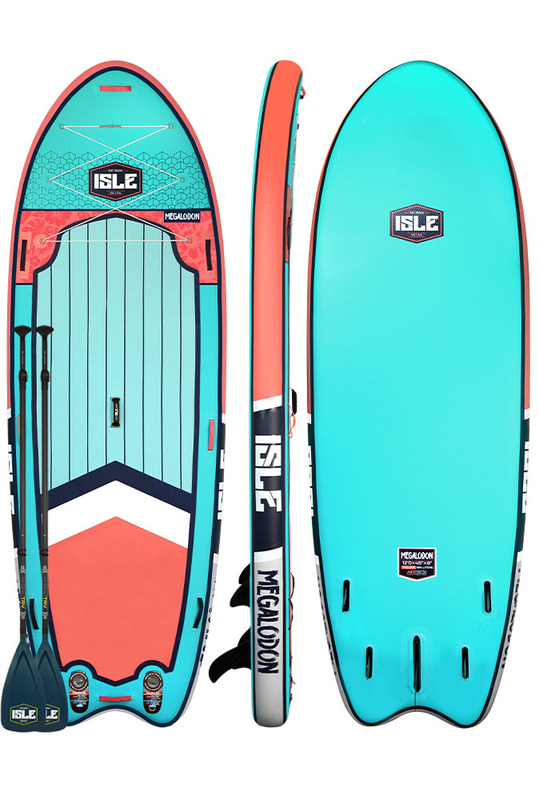 The Megalodon is constructed with military-grade PVC making this inflatable paddle board rigid enough to carry the weight of your entire crew and durable enough to take on double overhead surf. 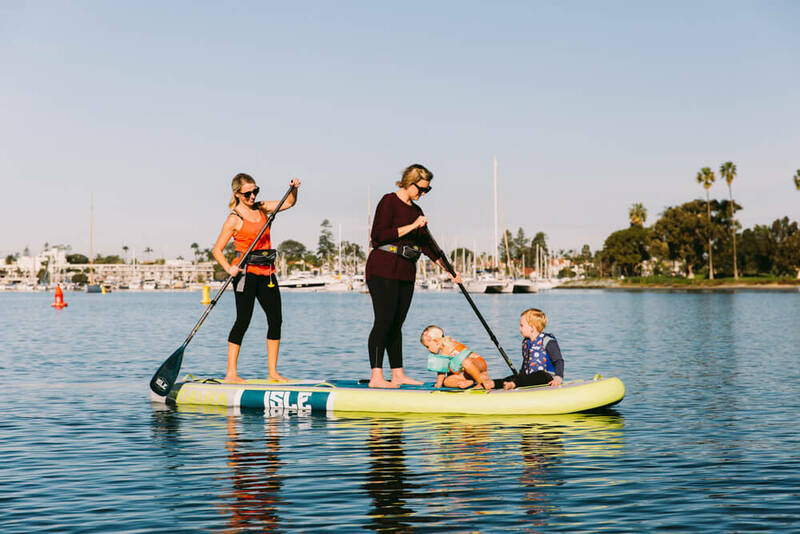 This multi-person paddle board is eight-inches thick aiding in keeping all paddlers on board elevated off the water, unless you get pushed off. The Megalodon has a six-point bungee system on its nose to tightly grip and carry your party favors. 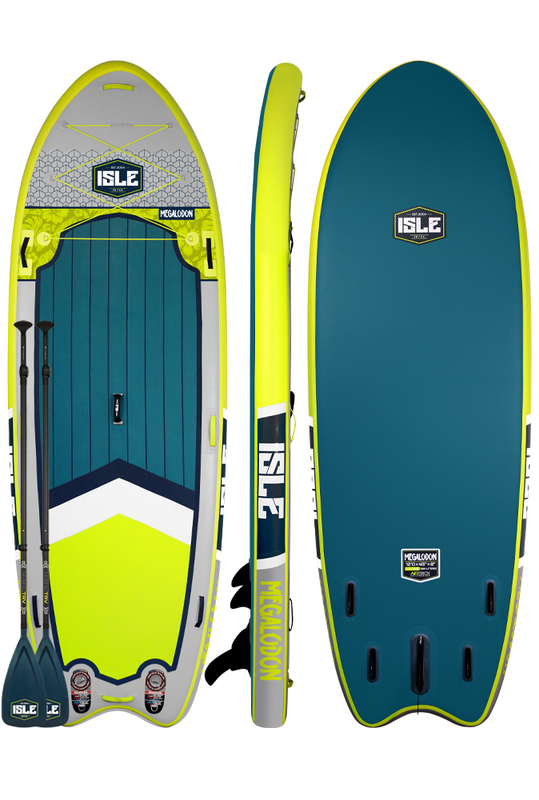 Reinforced grab handle make transporting the board with loaded gear along riverbeds, docks or shore breaks very simple. Can also be used as tie up points for docks, or for a leash. The NEW soft brushed EVA traction pad now has grooves for extra traction and maximum comfort under the feet. It’s non-abrasive when knee paddling or relaxing on the deck so you can count on a smooth, comfortable ride every time you paddle. The NEW & improved rounded comfort handle adapts to your grip and makes transportation a breeze. It has a smooth neoprene cushioning around the handle making it easy to hold when wet or even in the coldest conditions. Quality, high-pressure inflation valve rated for up to 17 PSI. Can easily be locked into open or closed position for simple, rapid inflation or deflation – under 5 minutes. 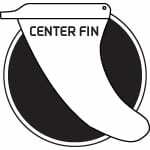 The high-tech proprietary process machine coats the drop stitch with a special seal and bonding layer, and then fuses a machine-laminated, higher-density PVC layer. 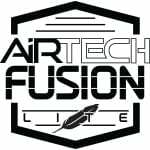 This process removes any human factor or errors in the bonding and creates a consistent, unique bond that’s just not achievable via traditional hand-gluing resulting in a board that’s both durable and lightweight.